Agile isn’t a new concept in the business world, but in the last several years, it has made its way into L&D. 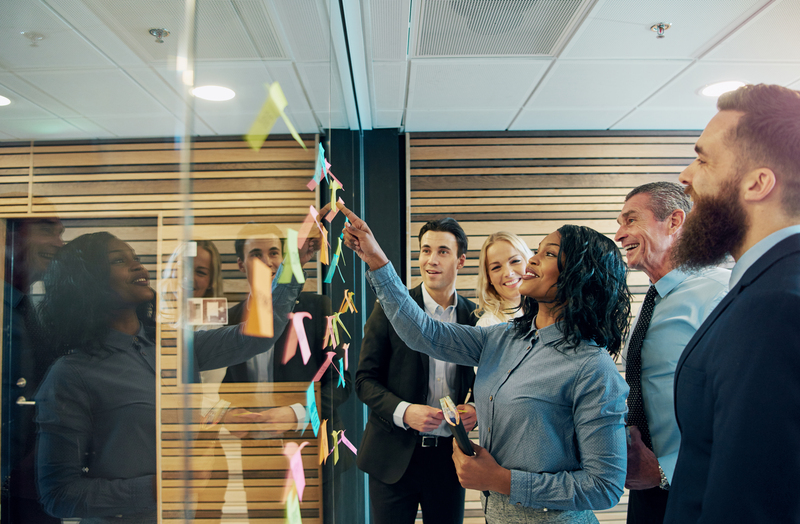 A growing number of L&D leaders have recognized the benefits of Agile principles, which include, among others, collaboration, flexibility, transparency, and speed to market. If you want to make your L&D team Agile, below are simple steps you can take to start the process. Embrace failure. With an Agile mindset, failure is an option. Ensure your team understands that failure leads to knowledge and success. Welcome feedback. Encourage honest and open feedback between between all members of your team. This helps build strong collaborations and ownership. Understand your customers. Every person within your function should know your key customers. This enables you to develop ways to add value to the customers’ experience. Agile methodologies come from software development management practices, but have transitioned to all functions. There are numerous books written about Agile, but a good place to start is with “What is Agile?” a short blog post by Forbes contributor Steve Denning. To be Agile, L&D must be strategic. In the past, L&D professionals focused the majority on their time ensuring the content they put in front of leaders was high quality. Agile requires L&D to shift from an emphasis on design activities to strategic activities, including discovering ways in which L&D can help leaders develop skills that benefit the organization’s customers. Learn what you know. Start by understanding your organization’s immediate and long-term goals. Then branch out, going to specific functions to understand their needs. Develop partnerships. Utilize content providers to develop programs, instead of doing it yourself. This will free your team to develop strategies and analyze impact data. Being Agile means embracing “why” over “how.” Develop critical thinkers at all levels of your organization, instead of focusing on just those at the very top. At ExecOnline, we refer to this concept as developing “the Critical Middle” — mid-level leaders within an organization who are vital to success but often underserved in terms of training. Focus on ROI. Make the most of your budget by utilizing programs that show a clear business and financial impact. Cut programs that can’t prove value. For example, we’ve found that participant in our programs deliver an average of $179,000 in financial impact and that organizations see 76x ROI. Go Online. Online learning enables organizations to rapidly scale development because it is both economical and flexible. Companies that utilize online learning can reach a larger and more diverse audience compared to in-person experience. Additionally, organizations can send more leaders through online programs than in-person experiences. We found that for the same cost organizations can send almost 6x the number of leaders through an ExecOnline program, compared to an in-person experience. Modern business changes rapidly. One study shows that organizations undergo five strategy shifts within a three year period. To align with this rapid evolution, L&D should focus on the organization’s business needs and develop flexible programs that match those needs. Using a “building block approach” to your structured programs will help your organization and function be Agile. With this approach, you have access to a suite of high-quality programs that you can use to construct initiatives that rapidly address specific needs. For example, an organization that seeks to grow rapidly would send leaders through innovation and strategy programs. Later, if the same organization needs to improve operations, it would send leaders through team management and finance programs. To learn more about business agility, attend ExecConnect, a two-day event that brings together L&D leaders, top business school faculty, and industry thought leaders.